Figure 1. 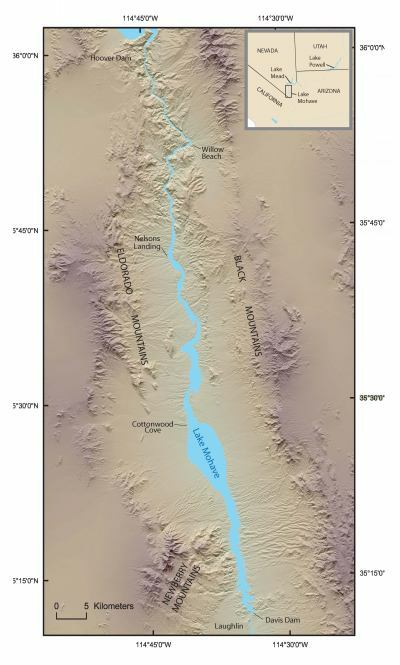 Shaded relief index map showing the location of Lake Mohave between Hoover and Davis Dams and surrounding mountain ranges. Inset shows location of study area in southern Nevada and northwestern Arizona.